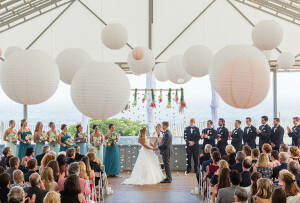 All that glitters is gold in New England’s preppiest wedding destination. By Jamie Coelho·	 1/12/2016, 3:33 a.m. The city by the sea’s luxury yachts and Gilded Age mansions seem fit for a Vanderbilt’s wedding. Or, perhaps, a Kennedy’s—John and Jackie tied the knot here six decades ago. 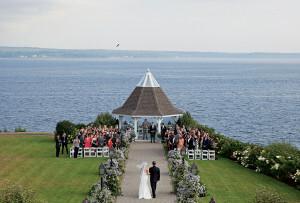 But it’s also the ideal locale for modern couples looking to say “I do” in lavish seaside style. 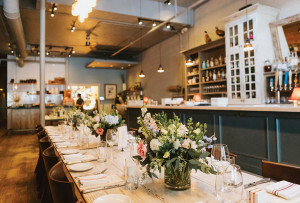 “There is so much history in Newport, and when you are there, you feel that you are somehow part of that history,” says Jessica Granatiero, proprietor of the Savory Affair Event Planning, based in East Greenwich. “The scenery is also stunning, from the boats to the ocean.” And what better place to make a splash than at the brand-new Newport Beach House? The coastal-luxe venue, formerly known as the Atlantic Beach Club, will host nuptials—and celebratory bonfires—on its private shores when it reopens as a Longwood Venues & Destinations property this spring. Awash in romantic blush-pink and driftwood tones, the party-ready interior offers oversize windows and a sun deck showcasing more of those glorious water vistas. If anchors and stripes speak to your theme, dance the night away inside the Newport Yachting Center’s dockside tent, located within walking distance of hotels. For a more Gatsby-like affair, motor over to nearby Portsmouth, where the Glen Manor House brings back a bygone era in a historical mansion with lovely gardens and Sakonnet River vistas from the manicured lawn. After all, nothing is more romantic than champagne and the stars, old sport. 55 Purgatory Rd., Middletown, RI, 617-854-5000, longwoodevents.com. 4 Commercial Wharf, Newport, RI, 401-846-2610, newportyachtingcenter.com. 3 Frank Coelho Dr., Portsmouth, RI, 401-683-4177, glenmanorhouse.com. 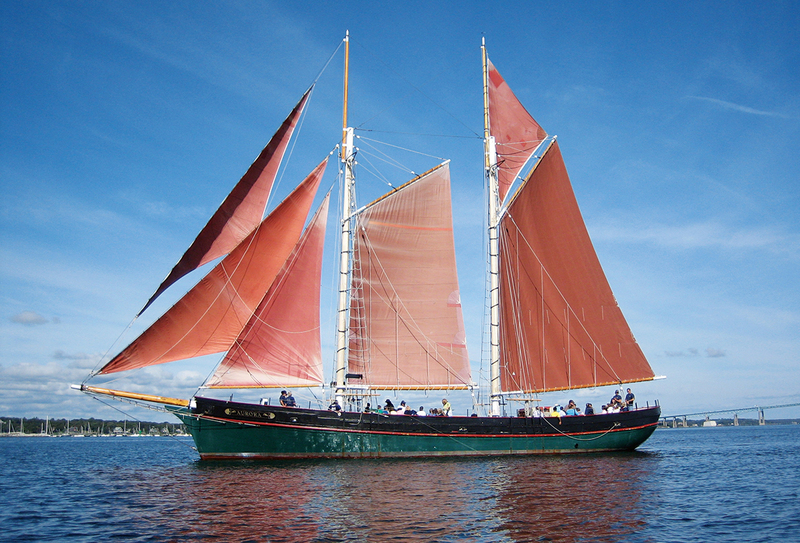 Treat guests to a sunset sail aboard the schnooner Aurora (pictured), docked in Newport Harbor—or, if you’re saying “I do” on a Sunday, pull on your preppiest threads for a Saturday-afternoon tailgate at Newport Polo. Newport’s biggest hotels, the Hyatt Regency on Goat Island and the Marriott, were recently renovated in time for last spring’s Volvo Ocean Race. 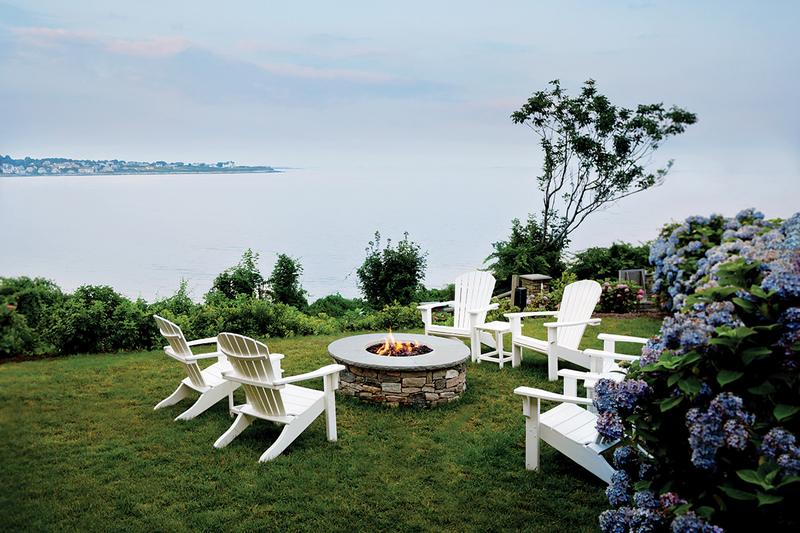 For larger groups (and budgets), there’s the Castle Hill Inn’s luxe beachfront accommodations. 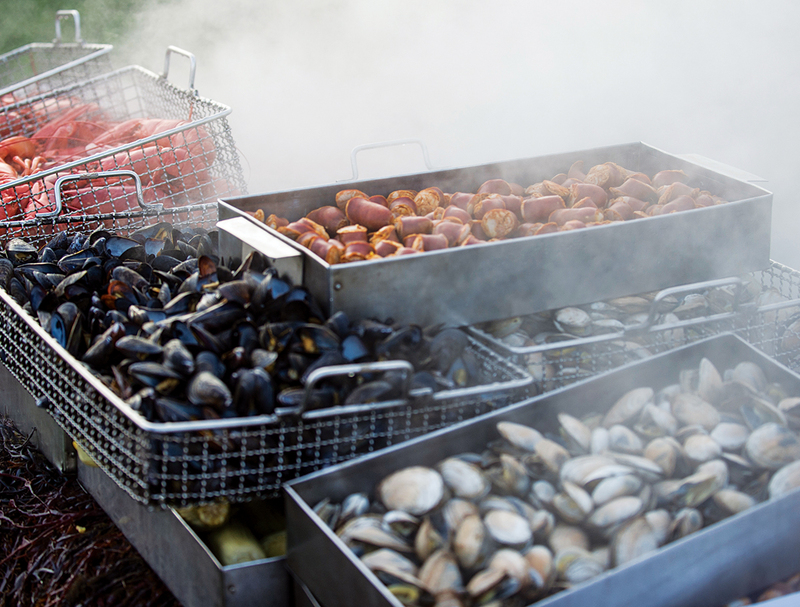 Host a catered clambake among the grapevines at the newly renovated Newport Vineyards—or go more formal at the winery’s restaurant, Brix, which overlooks the Tank Room and the grounds. Let your supporting cast star in their very own show with a miniature flipbook from Newport-based Flipbook City. It’s like a photo booth, except when partygoers move to music or get rowdy with props, a series of 60 photos is printed and compiled into a mini “video” to take home. 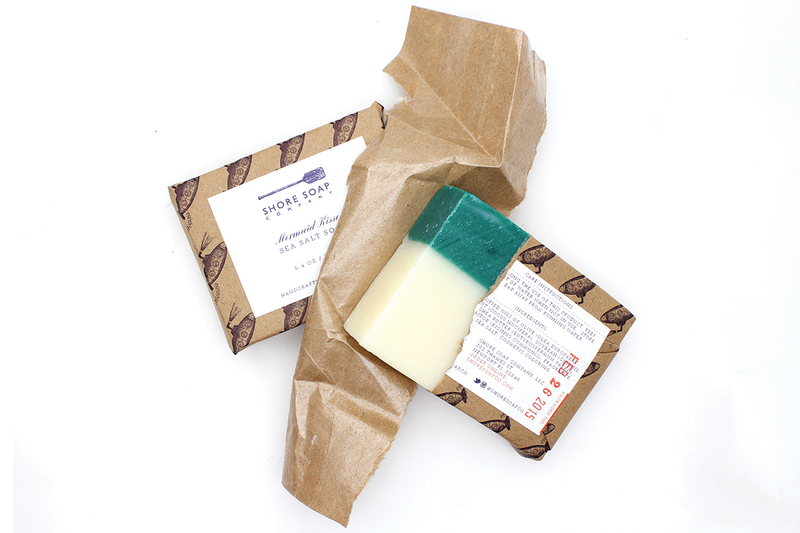 Made in scents like Mermaid Kisses, Cast Away, and Endless Summer, the handcrafted bars from Shore Soap Company will remind friends and family of your nautical nuptials every time they lather up. 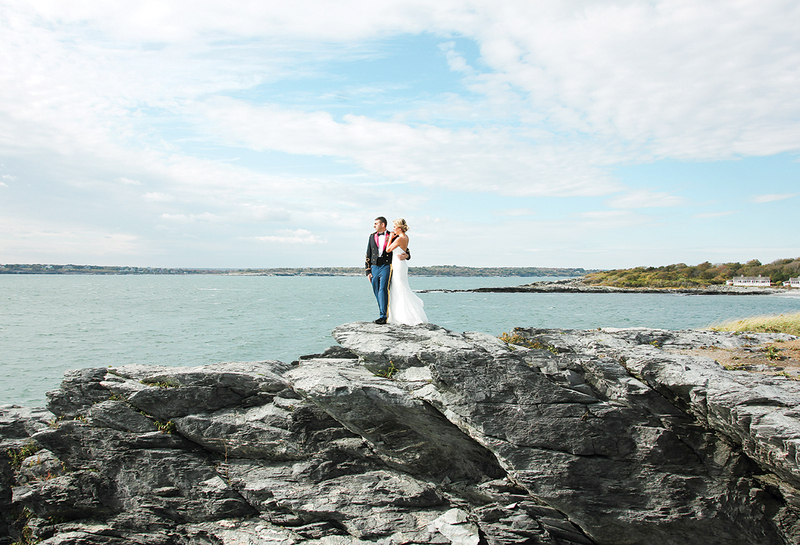 Get hitched in Newport, and your honeymoon will begin as soon as the wedding ends. Watch the ocean spray the rocks below from your perch at the Chanler at Cliff Walk (pictured), a 19th-century mansion turned opulent hotel. Catch your own dinner on an excursion with Fish’n Tales Adventures—or let popular restaurant Tallulah on Thames do the cooking for you, with farm-driven cuisine prepared in four- or six-course menus. Pair a Greenvale Vineyards wine with your meal, then plan a Saturday visit to the Portsmouth winery (complete with live jazz) to see where those very grapes were grown.